Firstly, we'd like to clarify that by no means do we intend to disregard the time, efforts and passion that the myriad of Mixed Martial Arts combatants put into their MMA contests. The same goes for the fighters who perform at the lowest levels of the sport, as it does for those competing at the highest levels of the sport. 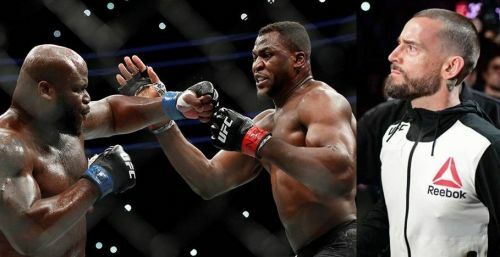 However, at times, when a pair of fighters happen to be matched up with each other, their respective styles in addition with the phase of their career truly add up to produce a fight which makes for a horrendous viewing experience! Today, we take a special look at a few such fights, where the fans were the real losers. Bear in mind though, most of these fighters are excellent performers, but just on a select few occasions happened to be involved in an absolutely terrible fight...for whatsoever reason that may be. 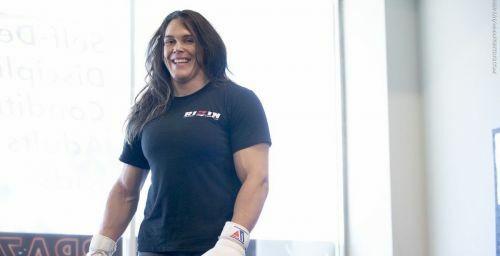 Gabi Garcia is a well-known multiple-time BJJ world champion, however when it comes to the sport of Mixed Martial Arts, her credentials aren't as strong...and that's putting it mildly! The 6'2", 230-plus pound Brazilian grappling expert reportedly got her weight down to 209 pounds in order to fight professional wrestler and occasional MMA fighter Yumiko Hotta. Garcia vs. Hotta transpired at Rizin 4 on December 31st, 2016, and the fight started off with the 170 pound Hotta running the ropes like they do in professional wrestling. That's right, this isn't a typo! Hotta legitimately pulled off her pro-wrestling moves, where she bounced off the ropes, and continued doing so on multiple sides of the square-shaped Rizin ring, until Garcia caught her with something that vaguely resembled a left hook. Garcia then literally grabbed Hotta as though she were a rag-doll, and proceeded to throw lumbering punches and elbows at her older opponent (Hotta was just a few days shy of her 50th birthday at the time of the fight). Garcia eventually knocked down Hotta, and then followed up with horrific ground-and-pound strikes, which were undoubtedly much more dangerous than the Brazilian giant's terrible stand-up striking skills.